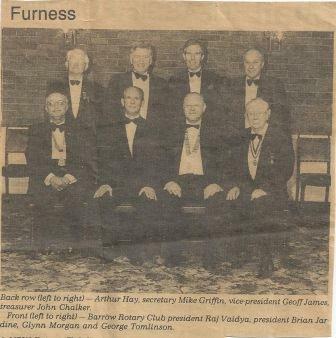 The Rotary Club of Furness founded by the Rotary Club of Barrow in 1991 as an early evening alternative to their traditional lunchtime version of rotary. The Formation meeting was held on 26 June 1991 at the Lisdoonie Hotel, the meeting place of mother club Barrow. The Inauguaral Meeting was held on the 28th June 1991 and the Charter Presentation took place on the 23rd October 1991.The club had 35 members at this time. Both the Inaugural and Charter meetings took place at the Lisdoonie Hotel, Abbey Road, Barrow in Furness and the extension officer was PDG George H Tomlinson. After several formative meetings at a variety of locations, the club chose as it's initial headquarters, the Abbey House Hotel . The hotel a delightful Lutyens created mansion originally built in 1914 for Commander Craven, Chairman of Vickers Shipbuilding and one of the founding fathers of Barrow in Furness. 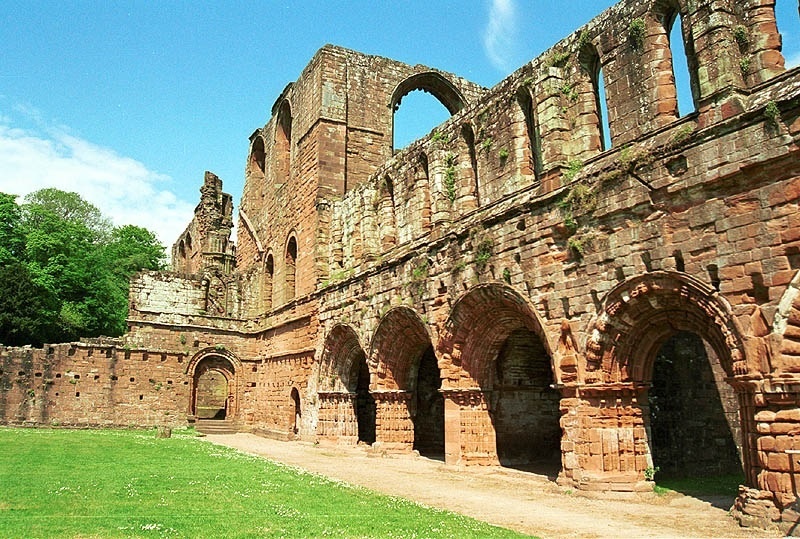 It is situated on the northern brow of the valley in which lay the ruins of the 12th century Furness Abbey.Founded in 1123 it was formerly a Savignac house which became a monastry in 1127 and a Cistercian abbey in 1147, growing to become one of the richest and most powerful in europe. As a club we then met for a number of years at another hotel in the area, returning to hold regular meetings at the Abbey House Hotel in August 2006. In August 2014, the club moved their HQ again, this time to Barrow Golf Club, Rakesmoor Lane where they continue to meet to this present day. An impression of the cloisters of the Abbey is used for the club's banner and still an ancient view of the abbey is used in watermark form on the club's letter headed paper. 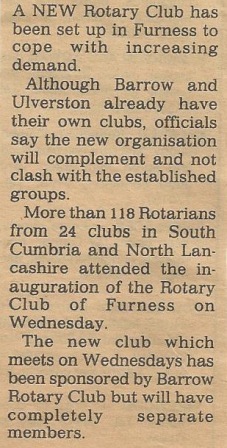 Just come in : thanks to the widow of Arthur Hey (our first Honary Member and a Barrow Rotarian on the extension team) we have an old article from the North West Evening Mail which I have scanned and re-produce here as a series of jpg images...hope they are readable !